This Barolo by Mirafiore is one of this producer's most important cru. 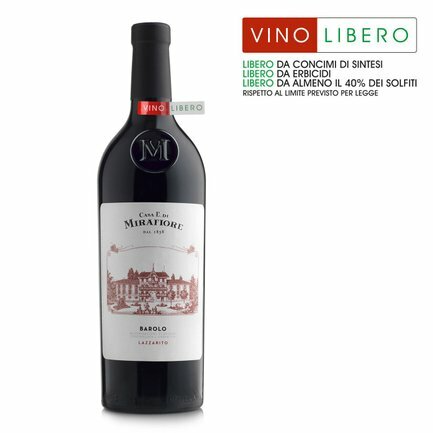 The nebbiolo grapes give this wine a red ruby colour with garnet reflexes. It has a rich perfume, due to being finished in wood, with notes of ripe plums, tobacco, dried mushrooms and spices. When tasted the tannins make it compact with a pleasant harmony. Alcohol 14% vol. 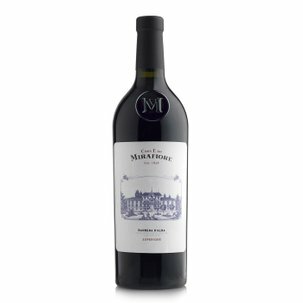 To fully appreciate this wine, match it with meat dishes or with medium-aged or aged cheeses.